Starla Huchton is one of my heroines. She’s a relentlessly hard working writer, an eloquent and passionate advocate for her chosen genres and works entirely on the indie side of the circuit. Note I say side. Not level. Not class. I genuinely could not give a damn whether a book has been published ‘trad’ or ‘indie’ as long as it’s good. Starla’s work is always, always good. 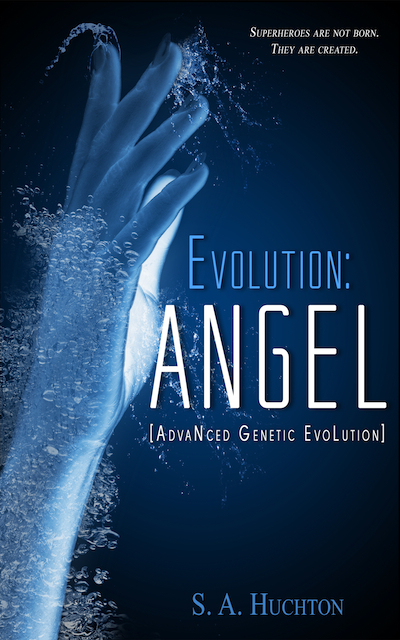 Which is why I was delighted to volunteer to run the cover reveal for her new book, Evolution: Angel. The first book is out on the 6th of March, as I say. If you want to find out more, start with these links.